Starting today, Wednesday, November 28, the genre-defying sounds of the central and eastern European underground will collide with Berlin’s own in what might prove to be the most exciting concert series in the city this year. 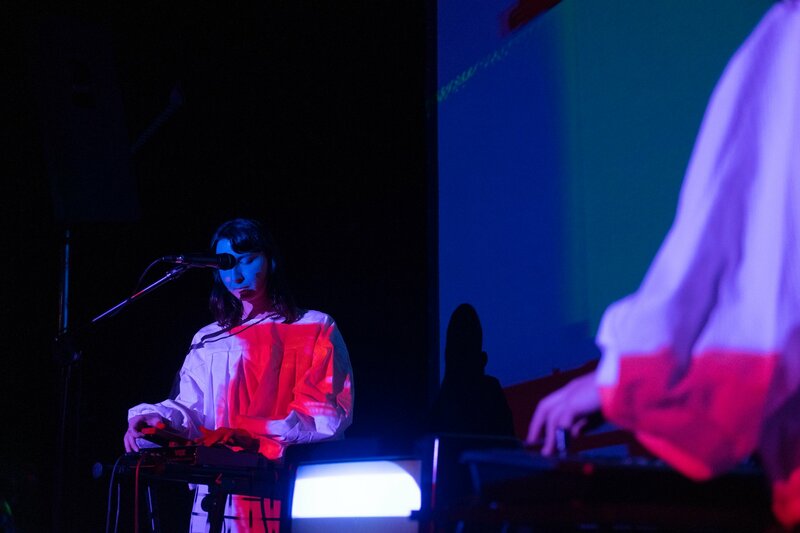 Easterndaze × Berlin: DIY Music Topographies is a four-day festival organized by former Telekom Electronic Beats contributor and eastern European music connoisseur Lucia Udvardyova. 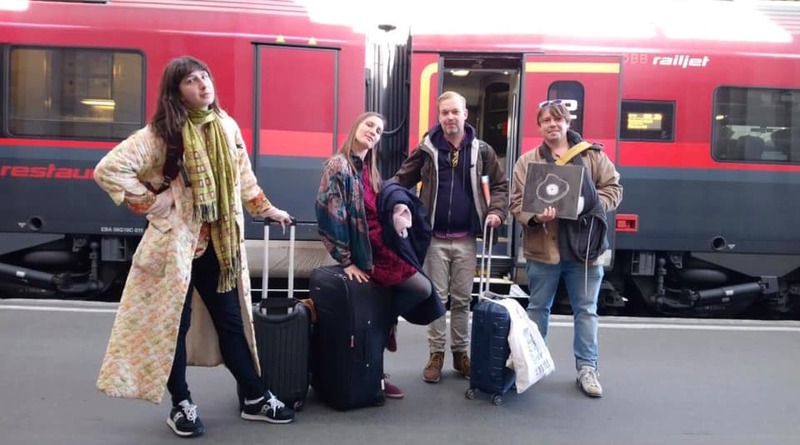 It takes place in four of Berlin’s prominent art and music venues—Arkaoda, Panke, Ohm and Urban Spree—and aims to present the most exciting musical collectives from Eastern Europe by pairing them up with groups from Berlin’s diverse DIY scene in the name of collective spirit and a communal ethos. Below, she interviews the creators of TEYAS, a unique audiovisual work commissioned from Audiovisual sister duo WIDT (Antonina Nowacka and Bogumila Piotrowska), from Warsaw, and legendary producer Christoph de Babalon from Berlin. Take a look behind their process below and find out more about the rest of the festival, which will happen tonight through Saturday, here. When I first asked you to collaborate on Easterndaze, it was to encourage collaborations between Berlin-based and Eastern European artists. I felt and still feel that East European musicians don’t have enough opportunities even in Berlin, which is a mixture of both east and west. What were your feelings about the performance in 2016, and what happened afterwards? Antonina Nowacka: Yes, I thought the idea was fantastic. I got very excited, because collaborating with a breakcore producer seemed like a challenge, and it was opening a whole new world of creative output. We improvized the set and it felt very good. We understood each other very well on an energy level—but we also allowed for space , which is very important to me. We created a coherent whole in its own right, and something very special emerged. Something of a great value, I think. So I was happy we all wanted to continue working together. Bogumiła Piotrowska: Yes, while we were performing for the first time I felt really comfortable. The energy between all of us worked very well. I think I can tell I soaked in, and it happens more often now. Christoph de Babalon: I immediately liked what Antonina and Bogumila were doing with WIDT. Very unique stuff. So it was great idea for us to collaborate on a spontaneous gig, although I normally never do things like that. When we met the first time at the soundcheck, it just felt and sounded right. There was a natural vibe to putting our work together. So we did the gig and it went well. Can you talk about the concept of TEYAS, which is an “abstract opera”? AN: The term was once used towards our WIDT live performance, but I’m not actually quite sure if I didn’t invent it. Rhe whole audiovisual output in TEYAS for me has a kind of the theater-like vibe; the visuals create a kind of scenography over the stage—it floats over the entire space and the performers. But at the same time, there’s particular story behind the piece that you could verbalize. The visuals are totally abstract, as is the music. My vocals are in an nonexistent language, and Christoph’s soundscapes are, for me, very reminiscent of some kind of unspecified, dream-like time-space. But just because there is no guiding narrative doesn’t mean that it’s meaningless. The message can be understood, I think, in a bit of an illogical way. BP: Visually, every performance and every single track becomes a scene. Narration is created in real time. There are always several characters who emerge in specific moments. It always happens that the show has an element of live drama. We used to listen to opera acts and participate in opera house classics, for example, “Magic Flute”, “Madame Butterfly” or “Halka”. We used to imitate a lot these acts and scenes when we were younger, in our own very bizarre way. Maybe this fascination developed in an abstract way in what we do. CDB: Absolutely. I find it very exciting to work without words, but still create a notion of a narration. Can you talk about each of your “roles” in the project? Bogumila, please talk about your visuals; Antonina about your vocals; Christoph about your music/electronics. And in what way does TEYAS differ from your individual projects? BP: When creating videos for the TEYAS LP, before I started working on a computer, I did drawings, text notes and graphics during the recording session, and I filmed and investigated the notion of organic movement. This allowed me to feel this as I feel live music and to create the compositions. During the performance, I modulated video feedback in real time. I use equipment from the ’80s and ’90s to induce video feedback. The components of my loop are very delicate tools that are old and need special care. For me, TEYAS is more atmospheric, dark and serious, but also sometimes funny. I produced videos the for TEYAS LP, but I used different tools to visualize it than I used for the live show. AN: Using the voice is the most natural and direct way for me to work with sound. I also don’t have to deal with any external sound devices and equipment which, I experienced, can be quite difficult. I always try to focus on what’s going on and try to respond with a coherent vision. It strangely happens always to be very dramatic and touching, but at the same time quite absurd and grotesque. I also like to use my voice to create some kind of frequencies which work in a psychoactive way on the audial perception. I’ve practiced it a lot recently. Generally with TEYAS, I’m moving more into exploring the possibilities of the raw voice without using of any electronics (which I do with WIDT). CDB: I think one difference this project has from my solo music is that I use fewer and different beats. I also use some different techniques and software to create and arrange sounds, I sampled a lot of field recordings, too. The biggest difference, however, is that we have no fixed arrangements for the pieces, and everything is improvized when we play live. So far, we have just done one-take recordings with only five minutes of preparation. Antonina is used to this, but for me, it’s completely crazy. You’ve released a new album on Bocian. Can you talk about it? CDB: Yes, it’s finally out on 12-inch vinyl and it looks and sounds beautiful. It’s our first release and we are quite happy with the results. A very strange record. Only we could make it. BP: We are very proud of the final product. AN: Yes, the record is bizarre. But I’m not surprised! What are your plans with TEYAS? CDB: It would be great to do some more gigs. We’ve also recorded a lot of new material that we would like to release at some point. BP: Yes, it would be great to perform more. I would like to try another way of visualisation. AN: Yes, more performances and a new record, it’s going to be otherwordly. TEYAS will be performed tonight at Panke in Berlin. For more information and to RSVP, click on the Facebook event here.